What is the ‘Coral Triangle’? When we talk about Raja Ampat we often mention the area being in the heart of the Coral Triangle. Most serious divers will be familiar with this term but for most it needs explaining. Let’s talk about where the Coral Triangle is and what amazing things you’ll find there. The seas and islands of 6 countries make up the Coral Triangle – the Indonesian Archipelago from Papua to the southeast end of the island of Java, the Philippines, East Timor, Papua New Guinea, the Solomon Islands, and the east Malaysian states of Sabah and Sarawak on the Island of Borneo. Some conservationists and researchers believe the Coral Triangle should be extended to include Brunei, Singapore and Peninsular Malaysia. This is a vast area of 6 million square kilometers! 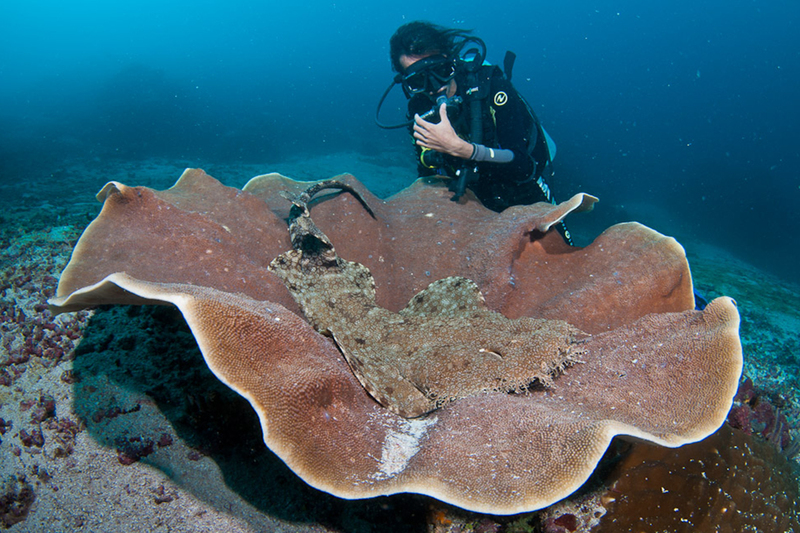 Many areas in the Coral Triangle are a huge draw for divers from all over the world. Some are more developed than others, for example the island of Bali, and other parts are only reached by a number of flights or long boat journeys. 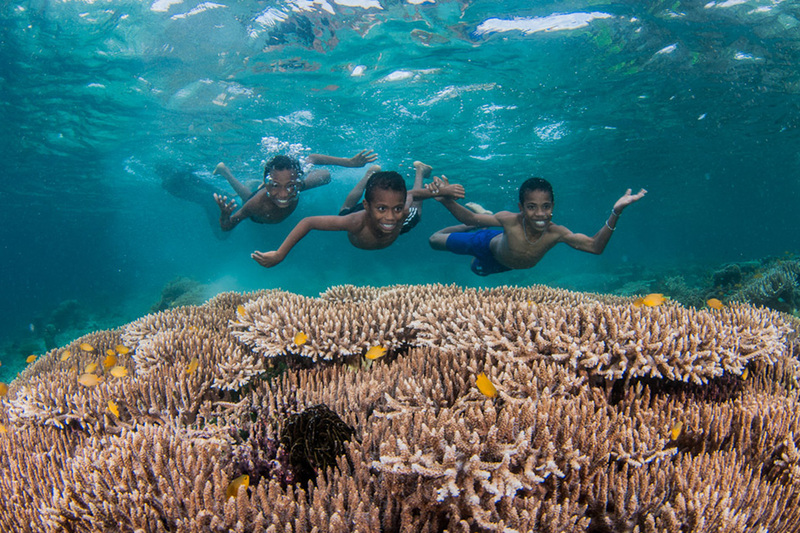 Why is the Coral Triangle so important? One of natural world’s most spectacular areas, the Coral Triangle is only 1% of the planet’s surface yet contains 30% of the world’s coral reefs! 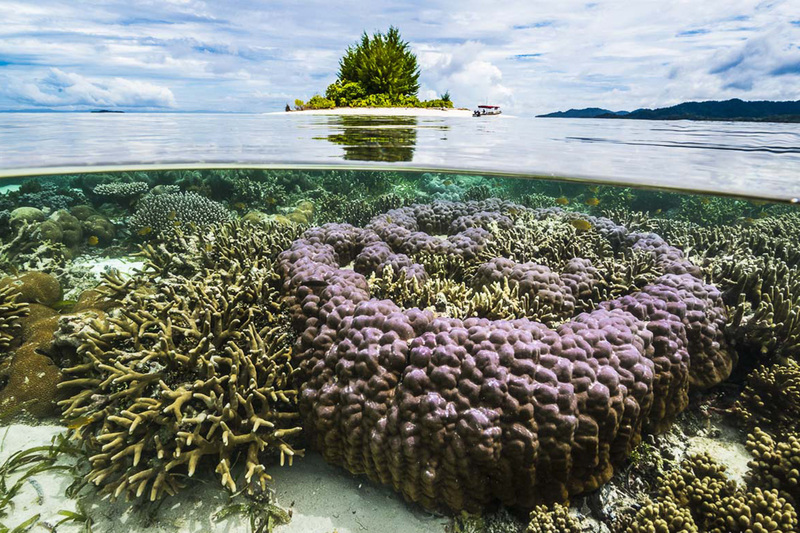 Those reefs are also comprised of 76% of the world’s known hard coral species. Almost 600 species have been identified and 15 are endemic to Raja Ampat. The importance of this area cannot be stressed enough. It sustains upwards of 120 million people, mainly through fishing and tourism. It is also home to nearly 3,000 species of fish, half the world’s seagrasses, 20 species of cetaceans, 45 mangrove species, the rare dugong and 6 of the world’s 7 sea turtle species. Can you imagine what would happen to the food chain if this vital ecosystem was destroyed?? None of the countries that lay within the coral triangle have a very good reputation for conservation either on land or sea. Overfishing, destructive fishing, unsustainable tourism, the impacts of urbanization, and climate change have all taken a toll on the area and steps have had to be taken to slow the destruction. 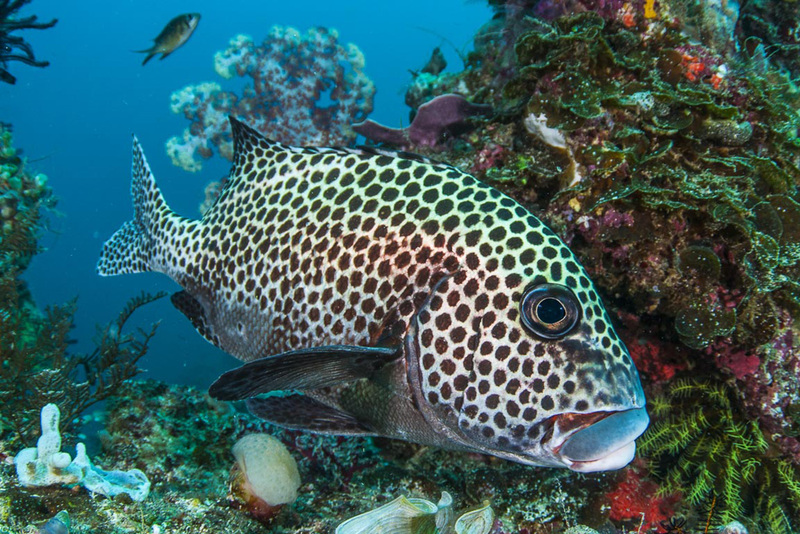 NGOs like WWF and The Nature Conservancy have stepped in to undertake research and push lawmakers to pass laws to help the Coral Triangle. For example, much of Raja Ampat is now a Marine Protected Area where there are harsh fines for fishing sharks, dugongs, and sea turtles. There are also penalties for using destructive fishing methods like fishing with explosives. Divers from all over the world come to the Coral Triangle to see the breathtaking array of fish, coral and other marine species. Many areas, including Raja Ampat, are known for their remoteness, clear waters and unparalleled reefs. 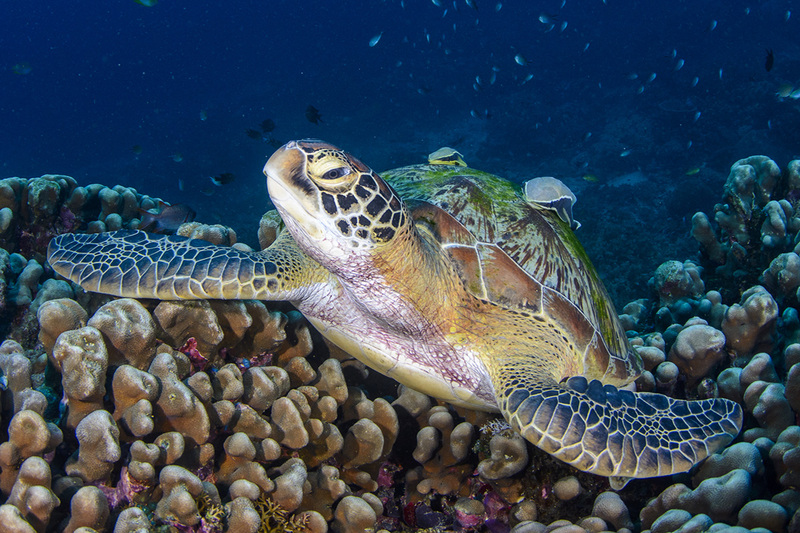 While diving in the Coral Triangle you are likely to see many species you won’t find anywhere else in the world. Does this sound like somewhere you can see yourself visiting? We’re always happy to help with suggestions and tips on where to go in the Coral Triangle, so let us know in the comments below.